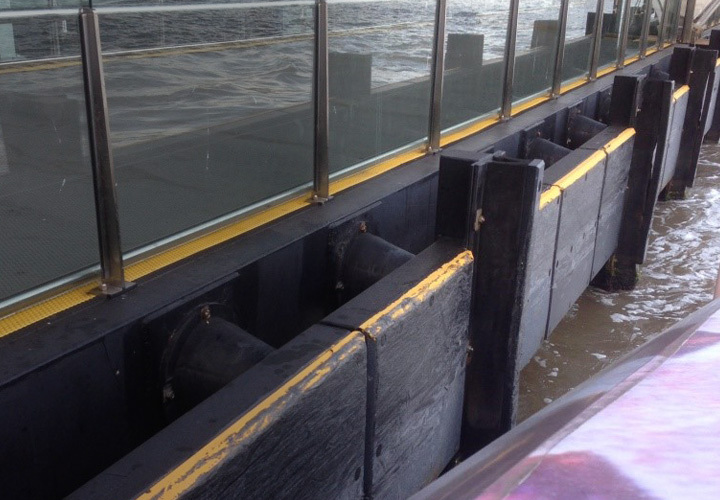 POLYSTONE FENDER is an environmentally friendly rubber and timber alternative used for marine and harbour construction. POLYSTONE FENDER is a unique, low friction UHMWPE combining the benefits of high wear resistance with lower maintenance costs. 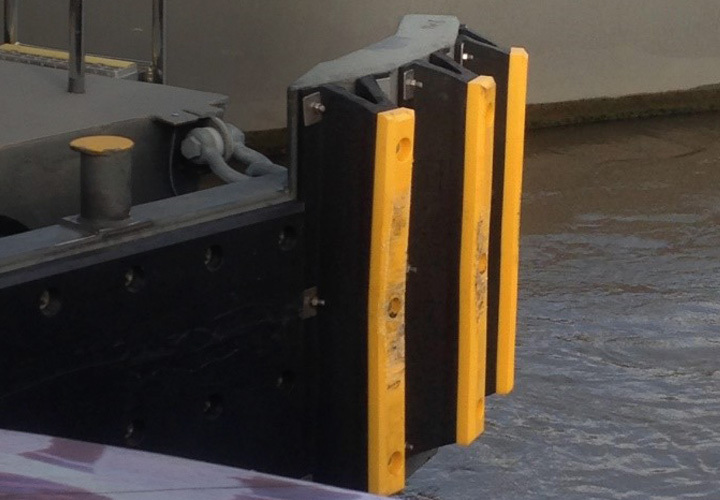 Dotmar's installation team specialises in wharf fender upgrades at ferry terminals to large shipping ports. Please contact your local Dotmar branch for more information on 0800 650 750. POLYSTONE FENDER will not rot, split or crack and is fully resistant to infestation from marine borers. POLYSTONE FENDER has a low coefficient of friction, superior impact resistance and excellent UV stability. Use for harbour construction, truck docks, floating docks boats and dredges. Ideal for the manufacture of pilings, fenders, wear pads, profiles on quay walls.